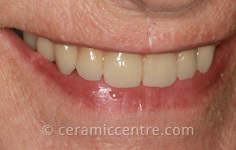 There are some huge positives for choosing a bridge – it will last for at least seven to 15 years, creating your new ideal smile and giving you your confidence back, with minimal invasion on the enamel. As our team are all on-site, laboratory technicians and dentists work very closely together to ensure the best outcome for our patients. 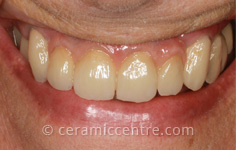 The alternatives to having spaces filled with a bridge are implants and All-on-4ever, which have long-lasting benefits of bone stabilisation and restorative functions.